The Conversion of ‘mohan’ (a normal man) into a ‘mahatma’ (the saint), only happens at kathiawad (Saurashtra in India), a place full of spirituality and fascinating history of its saints with there unlimited noble works for human beings as well creatures. 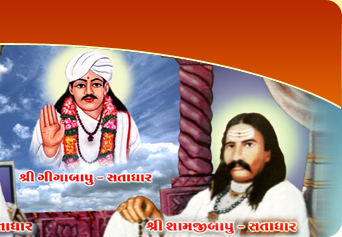 Many saints have served the peoples of kathiawad. Lord Krishna, who has established his throne in this sacred place. “Girnar”- a sacred mountain of saurashtra has born numerous powerful saints to the world. SATADHAR- as the name suggests SAT and ADHAR. SAT means truth and ADHAR means shelter or support, thus support of truth in life brings tremendous positive energy in human being. Satadhar is a place full of spiritual atmosphere and peaceful fxeelings. Here twenty four hour, service of devotees is going on and on. Any person, coming here with his/her problems or tensions feels free and enjoys the calm environment of this place, blessed by saint AAPAGIGA. Saint AAPAGIGA had established and stayed here, at Satadhar, around 1800. AAPAGIGA came here for the helping the human being selflessly and his love towards cows. He always helped and still his soul is helping millions of devotees around the world. This place was established by great Saint Apa Giga before around 200 years. The story goes like that when there was no food available for the people staying in this area due to almost no rains continuously for around three years, Saint Aapagiga supplied free food to all the people visiting Satadhar. This holy deed of serving food to all poor and needy people still continues today, even after around 200 years. The people visit this holy place of Satadhar to pray at the sacred Samadhi of Saint Aapagiga, who had taken Samadhi inside the ground at this place in the nineteenth century. Today Satadhar is developing NGO which works towards helping, preserving and developing the original form of Hindu Culture. Its goal is to work for the society at large. 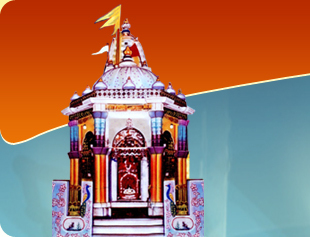 SATADHAR is a spiritual and social organization with ancient history. As a part of Hinduism, the NGO believes that both Social life and power of truthness should be developed its intended form. The personal belongings of saint are also preserved at the ashram and are available to all the visitors for view. There is an ancient swayambhoo temple of Lord Shiva, just opposite to the famous samadhi of this great saint. The story goes like that Lord Shiva was very much pleased withthe social services provided by saint Apa Giga to all poor and needy people and that is why he decided to stay at this holy place in this temple forever. It is extremely convenient to visit town of Satadhar while on your way to famous forest of Gir near the city of Junagadh. All the visitors make halt here at Satadhar for taking some rest and to pray here at the holy samadhi of saint Apa Giga. All the visitors visiting Satadhar are offered free lunch by the ashram management. This practice has been continued since last so many years without a break of a single day. 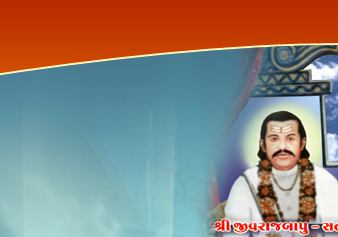 The saints who has been the successor of saint AAPAGIGA has made many initiative for happiness of society and also lived in most simplified manners, there was no buruecrcy at all which forced anyone to work, it a place having fully devoted sadhus and volunteers who are always eagar to worship and be prepared to serve the people. Satadhar is also well known for its silent and calm atmosphere, there will be nobody who feels dis-comfort here. Satadhar contributes to the peace and harmony for and by the society under the blessing of saint AAPAGIGA, currently Shri Jivrajbapu and Shri Vijaybapu is serving the very true purpose of the NGO for society, SATADHAR. This site is a dedication to the devotees worldwide, who due to somehow not able to come here. The information on the Satadhar with details of its philosophy, activities, festivals and worldwide network.